Sometimes getting lost is a great way to truly discover a new and unfamiliar place. That being said, it certainly helps to learn a couple of key facts about your destination before you head off. Read on for a few Vejer De La Frontera tips and tricks. To help you find your feet, Vejer De La Frontera is 35 miles (56 kilometers) to the north of the significant city of Tangier. A big part of traveling is meeting new people, so why not make friends with some of the 13,000 locals who reside in this part of Cadiz? With Travelocity, it's never been more simple to plan a getaway to Vejer De La Frontera and save. All you need to do is purchase a flight and accommodation bundle. Best of all, with no less than 400 airline partners and 665,000 places to stay, it'll be a total breeze to find exactly what you want. From accommodations and airfares to experiences and car rentals, we can give you 24/7 personal assistance with our Customer 1st Guarantee. If you happen to discover an even lower price on another site, we'll refund you the difference^. Adjustments to packages won't incur any financial penalties from us. And as long as you get in quick, most accommodations don't charge extra fees either^. 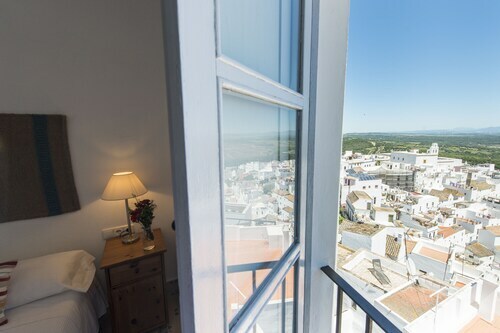 When Vejer De La Frontera starts beckoning, heed the call and lock in somewhere marvelous to stay with Travelocity. There are 10 properties in this great destination for you to pick. There's no more fitting time to really indulge yourself than when you're taking a vacation. 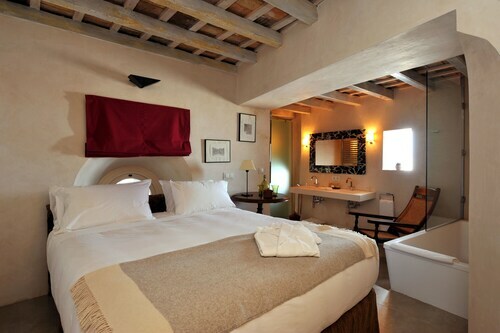 Lock in a room at the Hacienda Montenmedio (Carretera N340 (E-5) km. 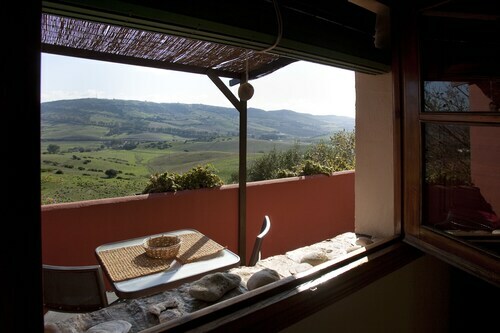 42,5) and enjoy a taste of the good life during your stay. On a budget? Don't worry, you won't be left in the cold. The Hotel V... (Calle Rosario 11-13) will keep you and your bank balance happy. Where do you fly into for Vejer De La Frontera? Get set for some amazing new experiences! The middle of Vejer De La Frontera is approximately 35 miles (56 kilometers) south of Jerez de La Frontera Airport (XRY). Can I rent a car in Vejer De La Frontera? Going off the beaten track is a great way to discover new places. So, why not do it from the driver's seat? Organize a rental vehicle via Travelocity and get ready to crank up your favorite playlist in Vejer De La Frontera. Public squares tell many stories. Amble across well-trodden paths and hunt down clues to the region's past at Plaza de Espana. Need some more ideas? Walk around the very old spaces of Vejer Castle. This mighty structure offers an informative excursion for the entire family. But that's not all there is. Wouldn't mind adding some greater meaning to your travels? Take yourself on a pilgrimage to Church of the Divine Saviour. Regardless of your beliefs, it's a superb place to observe and educate yourself about the local faith. Travel experiences can completely change our way of thinking. So if you think you've been on a hamster wheel lately, get set to leap into some game-changing adventures. Start your Vejer De La Frontera journey off on the right track with some entertaining experiences. How about a Small-Group White Towns of Andalusia Tour? 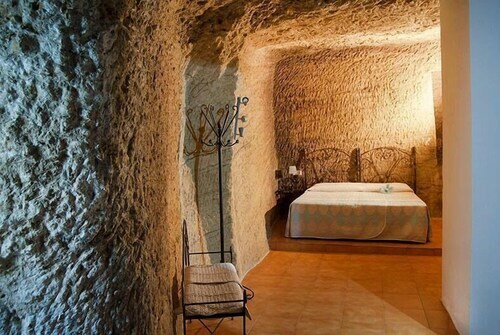 If you're staying in Vejer De La Frontera, you don't have to be limited to this location. Cadiz is just 25 miles (40 kilometers) away and offers a great range of nearby things to do, including Plaza de Espana. If you've got some spare time to play with, check out Torre Tavira too. You definitely won't be bored here! 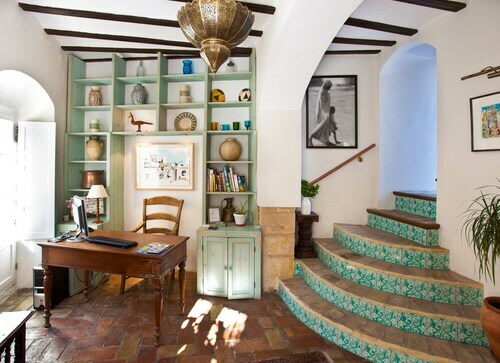 Situated in Vejer de la Frontera, this hotel is steps from Plaza de Espana, Vejer Castle, and Church of the Divine Saviour. Arco de la Puerta Cerrada is 0.3 mi (0.4 km) away. Situated near the beach, this hostal is within 1 mi (2 km) of Plaza de Espana, Church of the Divine Saviour, and Vejer Castle. Arco de la Puerta Cerrada is 0.9 mi (1.4 km) away. 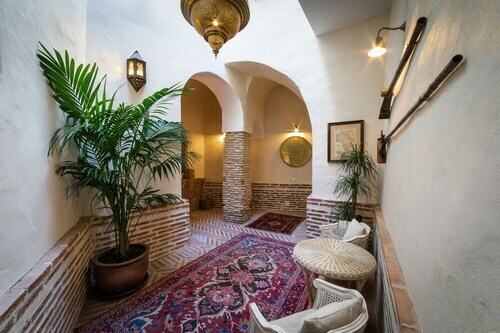 Situated in the historical district, this historic hostal is steps from Plaza de Espana, Church of the Divine Saviour, and Vejer Castle. Arco de la Puerta Cerrada is 0.1 mi (0.2 km) away. Situated in the historical district, this historic hotel is steps from Church of the Divine Saviour, Vejer Castle, and Plaza de Espana. Arco de la Puerta Cerrada is 0.1 mi (0.2 km) away. Situated in Vejer de la Frontera, this golf hotel is within 6 mi (10 km) of Church of the Divine Saviour, Vejer Castle, and Plaza de Espana. Conil Beach and Fuente del Gallo Beach are also within 9 mi (15 km). 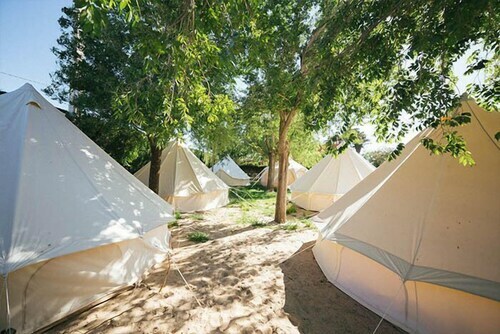 Situated in Vejer de la Frontera, this campground is within 1 mi (2 km) of Golfo de Cádiz and Playa de El Palmar. Conil Beach and Cape Trafalgar are also within 6 mi (10 km). 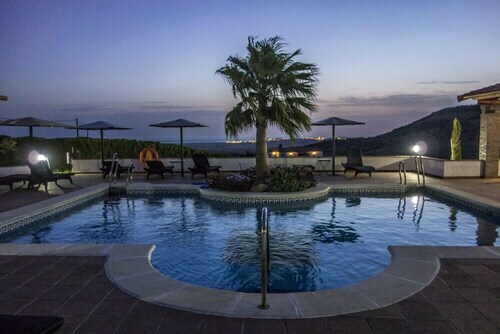 Situated in Vejer de la Frontera, this country house is within 6 mi (10 km) of Church of the Divine Saviour, Vejer Castle, and Arco de la Puerta Cerrada. Plaza de Espana and Conil Beach are also within 9 mi (15 km). Situated in Vejer de la Frontera, this country house is steps from Plaza de Espana, Vejer Castle, and Arco de la Puerta Cerrada. Church of the Divine Saviour is 0.1 mi (0.2 km) away.